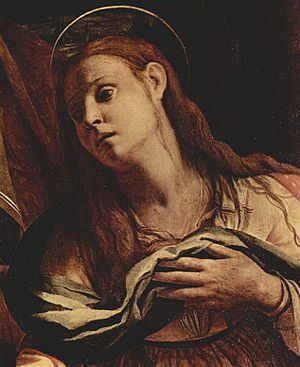 Probably best known today for hymns such as “O Sacred Head Now Wounded” and “Jesus, the Very Thought of Thee,” Bernard of Clairvaux was by any measure a formative figure in medieval devotion. 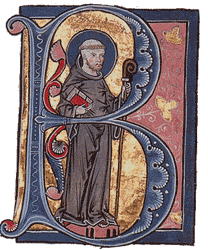 A reforming monk of the Cistercian order, Bernard returned to the simplicity of the Rule of Saint Benedict, preached to recruit participants in the Second Crusade in 1146, and in later life he had so much power that he was the virtual pope of the Western church. Throughout his career, Bernard’s teaching focused on love—in a positive, personal vein, but not a sentimental one. He talked about the relationship between the self and God. 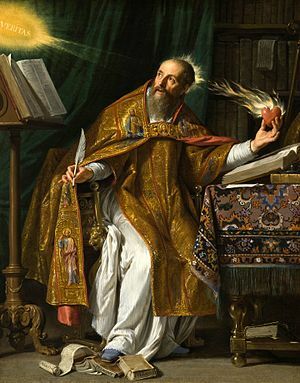 Borrowing a good deal from Augustine, Bernard, in his treatise On Loving God, sets forth four degrees of this love. He sees the self first of all loving only itself, then loving the neighbor and God for its own sake. Third, the soul comes to love God for God’s sake, normally the highest plane of love. But there is a fourth level, in which the soul loves itself for God’s sake. This is found only fleetingly on earth but will be the constant state of the dead after the resurrection of the body. 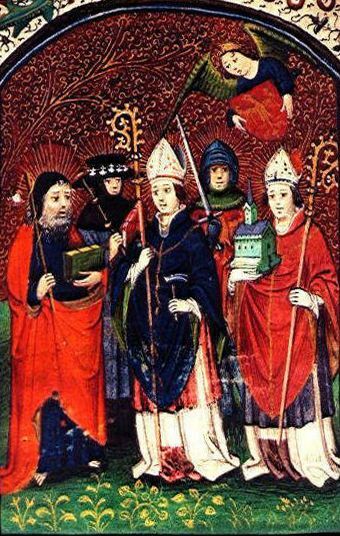 There is no better example of the holism of love and logic, theology and devotion, in the medieval period than Anselm of Canterbury. 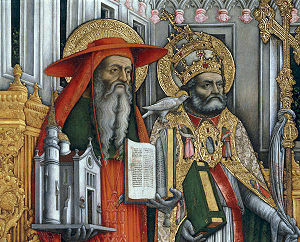 When not chasing dialectical rabbits in his attempt to understand, but not explain away, the mysteries of God’s existence and Incarnation, Anselm wrote a series of highly evocative, meditative, imaginative prayers focused on the lives and personalities of Christ, Mary, and the saints, designed for people to use in their private devotions. His stated purpose in publishing these was “to inspire the reader’s mind to the love and fear of God” and inflame the desire to pray. 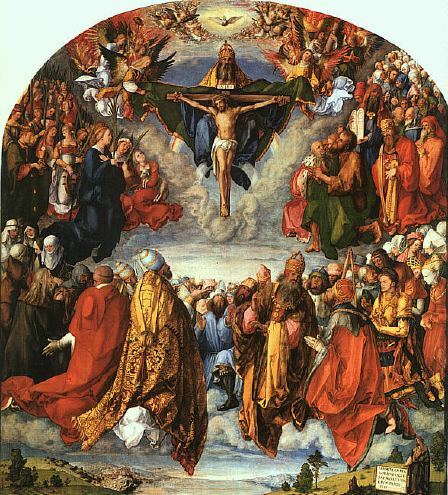 This was the beginning of a shift in “canons within the canon,” from the early medieval spiritual focus on the Old Testament (especially the Psalms) to the high and late medieval fascination with the Gospels.